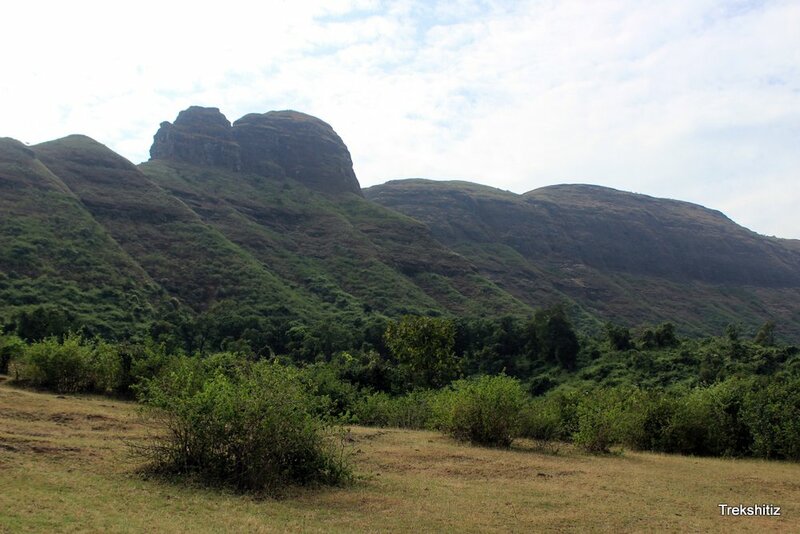 Fort AHIVANT is a part of Ajanta mountain range. Ahivant and Achala are neighbors. Although Achala and Ahivant are neighbors, Ahivant has a broader plateau unlike Achala, which takes almost a full day to explore it. There is a cave in the north-east direction of the fort, but it is not suitable for a stay. Whereas a cave in the southern direction is suitable for a stay. Almost 10 min. away from this cave, is a water tank. If you come from Dare village, you will find devastated structures of two big entrances. In the nearby area you will find remnants of many old palaces, which shows that this fort was well equipped with a defense base. You will also find Shivling at many places. While coming on the fort from this side one can find many caves You can find two to three lakes while roaming on the fort. There is a temple with a statue which resembles Saptshrungi. There are two ways to reach Ahivant. From Nashik one has to go to Vani. From Vani, along the Nanduri road you can have a good view of Ahivant fort. 1 k.m before Vani Nanduri road, there is a way to the left side which takes you to the foot holds of Ahivant Fort,within an hour. One can then easily climb over the valley and reach Dare village. And then it takes an hour to reach the fort. This is a comparatively long route. One has to reach to pimpripada first from Vani via pimpriachala route. From Pimpripada go to the temple, the way to the right of it will take you to the Bellwadi village within half an hour and left side route will take you to the Achala Fort. From Bellwadi you can reach Ahivant fort in two hours. From Dare village it will take almost 2 and a half hour, and from Bellwadi it takes 2 hours to reach the fort.